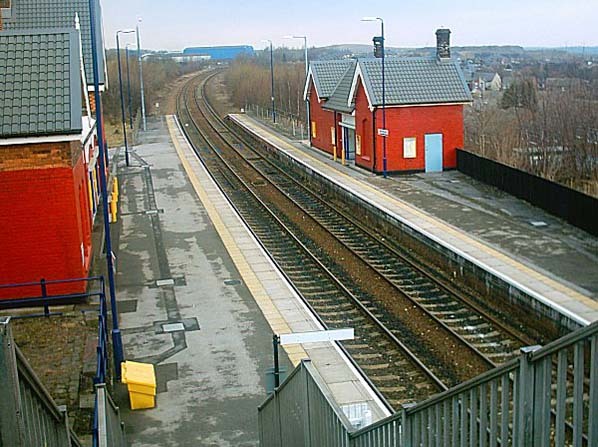 Notes: The present station is the second built to serve the community of Woodhouse, then separated from and not under the governance of Sheffield. 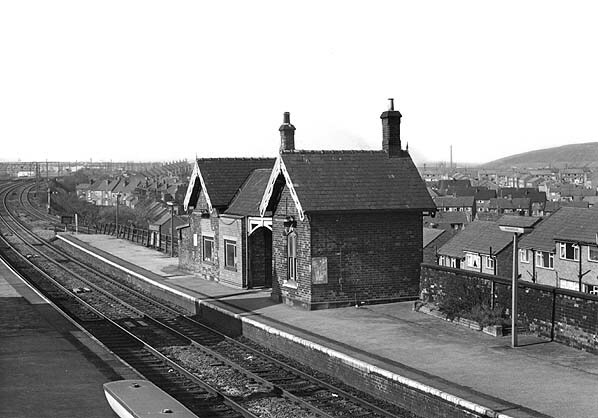 The original station, opened in September 1850, was situated at the bottom of Junction Lane, adjacent to the present Woodhouse Junction, formerly East Junction, signal box and was built to serve the communities of Beighton, then within Derbyshire, and Woodhouse. 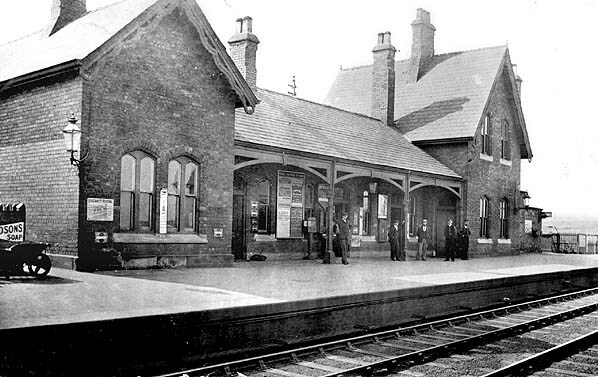 This station was closed on 11 October 1875 and replaced by one of the earliest examples of the Manchester, Sheffield and Lincolnshire Railway's Double Pavilion designs at its present location. Woodhouse was the hub of two colliery branches: to the West a branch to Orgreave Colliery, which was extended to reach Treeton Colliery under the M.S.& L.R (Extension to London) Act 1893 and opened on 10th October 1898, and to the East, from Woodhouse East Junction, the Birley Branch, which served the Birley Collieries, belonging to the Sheffield Coal Company. With the closure of the Great Central main line to London, Woodhouse remained open as it also served the Sheffield - Lincoln line. An hourly service in each direction is operated by Northern Rail. A limited service is provided on Sundays. Woodhouse is also served by the Saturday only service linking Sheffield and Cleethorpes via Brigg. The Manchester, Sheffield and Lincolnshire Railway (MS & L) was formed in 1846 by the amalgamation of the Sheffield, Ashton-under-Lyne and Manchester Railway with two proposed lines - the Sheffield and Lincolnshire Junction Railway and the Great Grimsby and Sheffield Junction Railway; the SA & M had opened between Manchester and Sheffield Bridgehouses in 1845. The Manchester, Sheffield and Lincolnshire Railway ran between Manchester London Road (now Piccadilly) via Penistone to Sheffield (the Woodhead route) and on to Brigg, Grimsby and Cleethorpes. A second line left the main line at Penistone and served Barnsley, Doncaster and Scunthorpe before rejoining the Grimsby line at Barnetby. The MS & LR opened a line from Sheffield Bridgehouses to Beighton for passengers on the 12th February 1849. Passengers going south and to London changed on to the ‘Midland’ line at Eckington. On 15th September 1851 a new station called Sheffield Victoria was opened a short distance to the south west of the Bridgehouses terminus which was retained as a goods depot. In 1854, Edward Watkin became General Manager and then in 1864 chairman of the Company. Watkin's ambition was to build a rail link between the industrial heartland of Manchester and Sheffield, to London and through a tunnel beneath the channel to reach Paris and the expanding markets of Continental Europe. 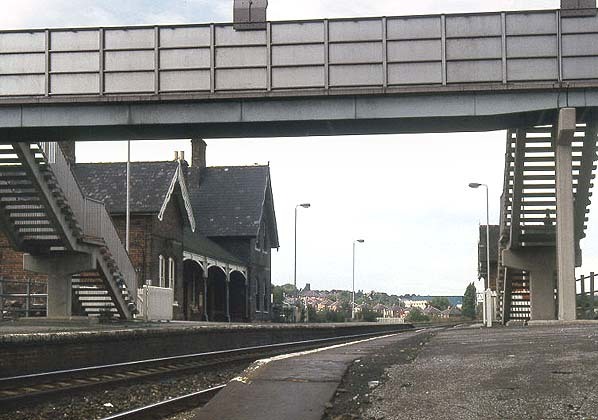 embankment or in a cutting adjacent to a road bridge, with access via stairs from the middle of the bridge; only the larger intermediate stations like Rugby and Loughborough had street level buildings. Because Edward Watkin also expected his trains to reach Europe through a channel tunnel, the line was also built to a larger continental (Berne) loading gauge. The Great Central opened for coal traffic on 25 July 1898, for passenger traffic to a new terminus at Marylebone on 15 March 1899 and for general goods traffic on 11 April 1899. Selected further reading: Great Central Memories by John MC Healey published 1987 by Baton Transport ISBN 0 85936 193 4 - heavily illustrated history of the London Extension. Great Central Then and Now by Mac Hawkins - published (2nd edition) by BCA 1992 ISBN 0 7153 9326 X , station by station photographic survey of the Great Central between Sheffield and London with numerous 'then and now' photographs. See also Sheepbridge & Brimington Station and construction of the Manchester, Sheffield and Lincolnshire Railway through Brimington by Philip Cousins. Published in St. Michael & All Saints, Brimington parish magazine. (Click here for full text). Tickets from Michael Stewart except 00 Glynn Waite. Route map drawn by Alan Young. Too see other stations on the Great Central Railway between Sheffield Victoria and Aylesbury click on the station name: Aylesbury, Waddesdon, Quainton Road (1st site), Quainton Road (2nd site)**, Calvert, Finmere, Brackley Central, Helmdon, Culworth, Woodford Halse, Charwelton, Braunston & Willoughby, Rugby Central, Lutterworth, Ashby Magna, Whetstone, Leicester Central, Leicester North***, Belgrave & Birstall, Rothley**, Swithland****, Quorn & Woodhouse**, Loughborough Central**, East Leake, Rushcliffe Halt**, Ruddington, Ruddington Factory Halt, Arkwright Street, Nottingham Victoria, Carrington, New Basford, Bulwell Common, Bulwell Hall Halt, Hucknall Central, Annesley South Junction Halt, Hollinwell & Annesley, Kirkby Bentinck, Tibshelf Town, Pilsley, Heath, Staveley Central, Renishaw Central, Killamarsh Central, Beighton (1st site), Woodhouse Junction, Darnall*, Sheffield Victoria & Sheffield Bridgehouses.